----- Cairo Sumner High School ----- "Red Devils"
Cairo (population 3,632) is located in the farthest southern tip of Illinois in the farthest southern portion of Alexander County. Cairo is located at the junction where the Mississippi River meets the Ohio River. U.S. Route 51 is the main roadway leading to and from Cairo. Interstate Highway 57 travels by the northwest side of town. Illinois Routes 3 and 37 lead the way from Cairo to the north. The Illinois Central Gulf and Conrail railroads lay tracks through Cairo as well. 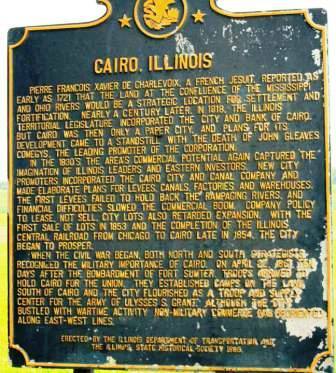 "Cairo was founded in 1837 by the Cairo City and Canal Company, after an earlier effort (1818) had failed, and incorporated as a city in 1858. For fifteen years the town grew slowly, but the sale of lots, which commenced in 1853, and the completion of the Illinois Central Railroad attracted settlers, with the result that by 1860 the population exceeded 2,000. It was an important steamboat port in the nineteenth century; Cairo even had its own Customs House, which has since been converted into a museum. During the American Civil War Cairo was of great strategic importance and for several months both Grant and Foote had headquarters there. The town has a number of fine examples of prosperous nineteenth-century and early twentieth-century architecture -- much of it abandoned and in a bad state of decay. " The city of Cairo reached its population peak of 15,000 residents in the early 1900's. However, slowly but surely the city never reached its early projected status. Its population has declined steadily to its current 3,600 person status. Cairo was also a very segregated city in its early days. The residents of Cairo supported two public high schools. Cairo Sumner was built specifically for the African American residents. According to the book "On Jordan's banks: emancipation and its aftermath in the Ohio River Valley" by Darrel E. Bigham, Sumner High School graduated its first class in 1893." The high school building pictured above was built in 1927. The original Cairo Sumner HS building was located at 18th and Walnut and was built just after the Civil War. Changing times and turmoil of the 1960's led to the abolition of segregated schools in America. Cairo Sumner High School was closed in 1967. All students of Cairo would now attend the only public school left in Cairo, Cairo Community High School. 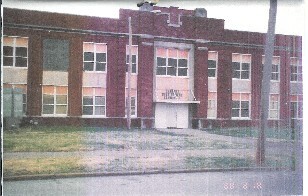 The Cairo Sumner High School building still stands today. Portions of the building are currently being used by the Shawnee Development Council. The building houses an Outreach Office, as well as a branch of the Illinois Employment and Training Center. Address: 2201 Poplar Street. Enrollment: 238 (in 66-67 Illinois coaches directory). Colors: Maroon, White. Nickname: Red Devils. Sports offered: football, basketball, baseball and track. Sumner HS team nickname: the "Red Devils"
We know that Sumner High School had some success in the IHSA tourney in the sport of boys' basketball and boys' track (www.ihsa.org). Due to research conducted by Dave Haberkorn, we know the school competed in baseball and football as well. 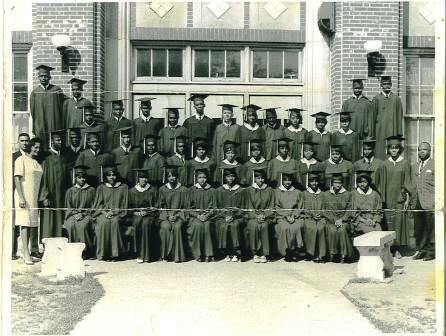 Sumner was a member of the Southern Illinois Conference of Colored High Schools (SICCHS) with a total of 21 other schools between 1919-1948Team records, coaches' names, and school fight song are all items we are seeking. The Sumner Red Devils won two District titles in their history. The titles occured fairly close together. Unfortunately, coaches' names and team records of these and other great Sumner HS teams are not currently available. We are told that Coach C.K. Cole led the Red Devil hardwood court men in the late 1950's and early 1960's, in fact he coached Sumner HS athletes for about 30 years! Though we are not certain of the exact years, Coach Cole led the boys basketball program to an overall record of 429-123 while at the helm. This places Coach Cole at number 121 on the list of most coaching wins in a career in IHSA history! Coach Cole spent his entire career at Cairo Sumner High coaching the Red Devils. "The School had a long and illustrious history, for the record C.K. Cole coached at Sumner for more than 30 years, with his tenure interupted by WWII he served as a officer in the war. Sumner played a highly competitve schedule in the days prior to 1960. The teams frequently played Wendell Phillips and Dunbar high schools from Chicago, East St. Louis Lincoln High School was an annual combatant until 1969, Memphis Hamilton High, Frederick Douglass and Booker T. Washington of Tulsa and Oklahoma City and well as Vashon and Sumner high schools of St. Louis, Missouri were frequent foes." CARRIER MILLS (53): Beggs 15, Travelstead 11, Lail 8, Pritchett 7, Osburn 6, Durfee 6. CAIRO SUMNER (51): B. Bondurant 13, White 10, Goodman 9, Brooks 8, Tyler 6, Brown 3, E. Bondurant 2. **Final game for Cairo Sumner High School basketball, school consolidated to Cairo High School in the summer of 1967. *Great Player - Oris Hill, Sr., a graduate of Cairo Sumner High School, played for the Harlem Globetrotters in the 1940's and 50's. Three District titles, six SICCHS championships, and an INDIVIDUAL STATE CHAMPION hi-lited the Sumner High School tracksters' successes. JOSEPH IVY was crowned the STATE CHAMPION in the 440 Yard Dash in 1944-45! The school also won the SICCHS title in the spring of 1931. JOSEPH IVY 440 Yard Dash STATE CHAMPION!!! "My uncle, Hardy Pierce, taught shop in 1943-44 and was the high school basketball coach. At my website (www.wendellpurchase.com) you will find a page on SUMNER HIGH SCHOOL. Most of my 13 brothers and sisters graduated from SUMNER. I graduated from Sumner in 1967, the final graduating class. There are photos of Sumner H.S. 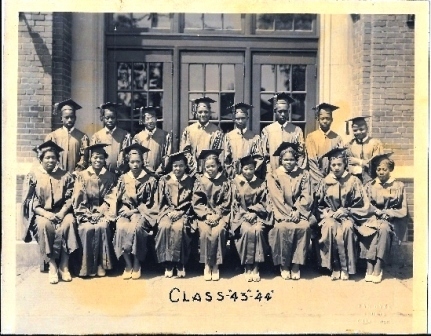 from 1943-44, and a copy of the last graduating class in 1967. I am the light skinned young man in the middle in the top row."